What is flow? According to Dr. Greg Cartin, a sport psychology consultant who works with professional athletes, artists, and performers, it’s a unique intersection of skill and challenge where the challenge at hand is just a hair more demanding than our actual skill level. These are the conditions that give rise to flow states, when we are so immersed in the moment that any trace of self-consciousness falls away and we are oblivious to the passing of time. 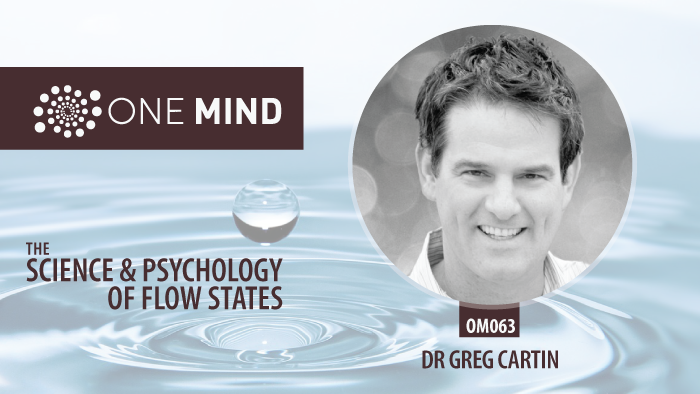 In this episode, Greg talks about the psychology of flow states and how mindfulness informs his work coaching pro athletes on their mental game. Everyone knows that at the highest level, athletes need to hone their mindset as much as their bodies. But how do you do that? And what do flow states have to do with it? According to Greg, nowhere is this mental game more pronounced than in professional golf. Pro golfers have an abundance of down time, when they are alone with their thoughts. How they relate to that time often determines the final outcome of their performance. That’s where Greg’s mindfulness work comes in. Using new therapeutic models which feature mindfulness at their center, Greg helps pro golfers and other athletes and performers to be ok with whatever they’re thinking. He summarizes his approach like this. By not constantly fighting the negativity, we are able to free up our minds to focus on the task at hand. Through this process we are able to increase our chances of achieving optimal performance. This is the true benefit to my clients. The ability to perform at your best while experiencing normal human thought. 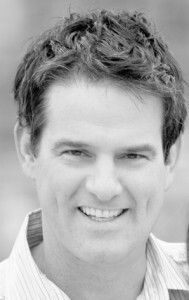 In other words, he helps his clients to embrace present moment awareness through mindfulness. Because in that space of presence, there is no fear or anxiety, the two major obstacles to performance. There is only the task at hand. 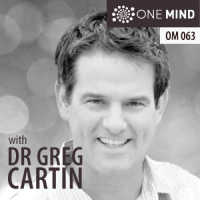 I invited Dr. Greg Cartin onto the show because of his inspired approach to mindfulness coaching. Although Greg mostly works with high-performing athletes, I believe his insights and approaches are universally applicable. And, I think you’re going to find them useful in your own life. I came across the term “flow state” only recently. I have no idea who coined the term and when. The question I’ve had ever since is how different the flow state is from just being fully in the present moment. If I’m not missing something, the flow state should mean exactly that, experiencing each and every moment fully, being immersed in the here and now, without multi tasking for example. Then the question is what’s wrong with the term ‘being present’ ? Or is there some other ingredient that further differentiates this state? That’s such a great and perceptive question. I would say that there is a fine distinction that your question points to. And for me, the answer is yes, these is some other ingredient to Flow that differentiates it from merely ‘Being Present’ (not that ‘Being Present’ isn’t a powerful and transformative mode of being and practice in itself). Here’s how I tend to think about it. And I’m certainly not the final word on this. The best resource is definitely the book Flow by Mihaly Csikszentmihalyi. You’re certainly right that being present is a good term to describe flow states. But I would also say that being present is a primary characteristic of flow states and there are also some other ingredients. For example, one characteristic of flow states is that they are effortless. That’s a characteristic of state changes in general. Once someone levers up into a different state, they are usually delighted by the effortless quality of it. ‘Being Mindful’ is certainly a core trait of the total focus and one-pointed concentration of flow but the difference is that ‘being present’, as such, is not always effortless. Often we must make effort–and at times heroic effort–to be present and attendant to our current reality from moment to moment–especially and most often when things are hard and we don’t feel like being present. That’s not the case with Flow, as I understand and experience it. Flow is a state characterized by effortless presence of being. Thanks for the comprehensive explanation and book recommendation! Now I believe I can understand the distinction between being in the flow and simply being present. I can even recall a couple of events from my past where I was experiencing the joyful and effortless quality of the flow state you are talking about. I’m looking forward to listening to the interview you’ve suggested.